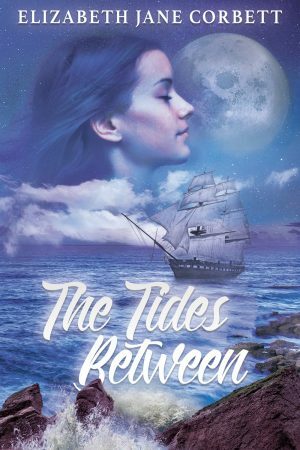 I am delighted to share my review of Elizabeth Jane Corbett’s debut novel, The Tides Between. “In 1841, on the eve of her departure from London, Bride’s mother demands she forget her dead father and prepare for a sensible, adult life in Port Phillip. Desperate to save her childhood, fifteen-year-old Bridie is determined to smuggle a notebook filled with her father’s fairy tales to the far side of the world. Told from three viewpoints, Elizabeth Jane Corbett’s debut novel is a fearless yet endearing exploration of the day-to-day existence of a small cast of characters, each with their troubles, who are incarcerated along with numerous families in the steerage deck of a ship bound for Australia. The Tides Between is an ironic tale in some ways, for the duration of a voyage that spans half the globe, the epic journey that unfolds is one situated at the hearth of human existence. Corbett writes with a deft pen. The author is unafraid to expose the reality of life for working class migrants making the treacherous voyage to Australia. In true literary fashion, the narrative presses forward through the unfolding realisations of its characters, the backstory interwoven in fragments. The Tides Between opens with fifteen-year old Bridie clutching a notebook of fairy stories she was forbidden to keep as she boards a ship bound for Port Phillip. What unfolds is in part a coming of age story, as Bridie learns to handle the grief she feels at the loss of her father, and accept the benevolent affections of her stepfather, Alf. Yet The Tides Between is less a story of one girl’s entry into adulthood and more a meditation on trauma and its consequences, and on identity and the power of myth. These themes are strikingly played out through Rhys, a young Welshman and miner’s son crippled by claustrophobia. His wife, Sian, is pregnant, as is Bridie’s mother. Will either woman manage to safely birth her child before the ship pulls in at its destination? Will Rhys transcend his anguish? Will Bridie shake off her adolescent ill humour? Can Alf, a man strangled by his sense of duty and obedience, find the courage to confront the ship’s surgeon? Corbett carries her plot forward with intricate attention to emotional detail. The heaving waters of the various oceans traversed a powerful metaphor for those heaving in the hearts of protagonists Bridie, Rhys and Alf. Corbett’s writing is visual, metaphoric and intelligent. It is in this fashion that dramatic tension is maintained, the reader treated page after page to Corbett’s elegant prose. The theme of fairy tales is prominent, but these are not the stories of children’s books. They are powerful myths rich with significance. Bridie strives to make sense of the world and relationships through the lens of fairy tales, questioning, comparing, speculating. Corbett juxtaposes Bridie’s musings with the reality of her situation, conveyed through the harsh, albeit sensible worlds of her mother. Meanwhile, Rhys grapples with his own demons. The only time he can cope with being in steerage is when he is on stage, telling Welsh fairy tales to a captive audience. Through the friendship that grows between Bridie and Rhys, Corbett explores the healing power of fairy tales, a release as much for the teller as the listener. In one respect, The Tides Between is a vivid portrayal of life in steerage. The reader is there with the stench and the lice and the privy buckets. Just as she is unflinching when it comes to portraying the physical hardships onboard, Corbett casts a microscopic eye over the complexities of grief and shame, taboos and social rejection. Despite its heartrending moments, The Tides Between is ultimately a story of redemption, transformation and hope. The Tides Between pulls the reader in two directions, the desire to continue turning the pages at odds with an equally a strong wish to pause and reflect on its various intricacies, its depth. The only difficulty faced in reviewing a book of this quality is putting it down long enough to scribe reflections. A work I would describe as literary historical fiction, The Tides Between, is a captivating and immersive read.